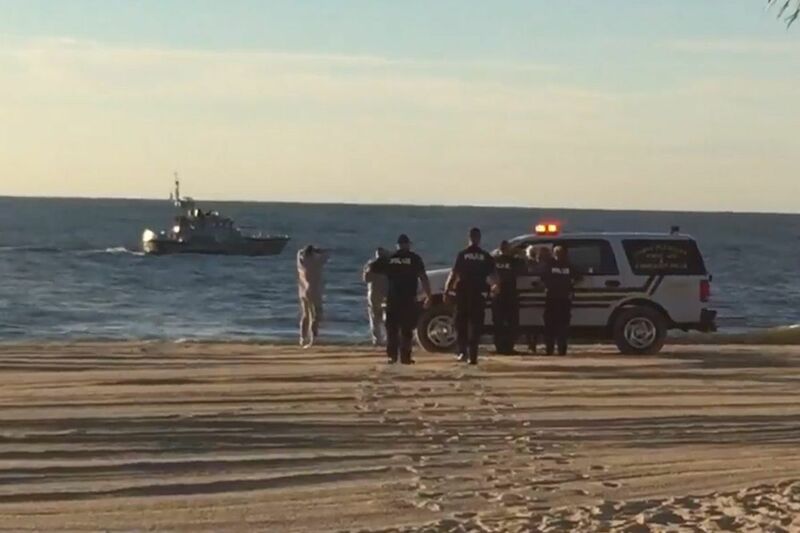 The search continues for a 24-year-old woman who went missing swimming off Point Pleasant Beach early Sunday morning. Update: A body believed to be that of a 24-year-old Slovakian woman who disappeared while swimming early Sunday in Point Pleasant Beach has been found in Lavallette, about eight miles to the south. This story will be updated as information becomes available. The U.S. Coast Guard has suspended its search for a 24-year-old Slovakian woman who disappeared in the the Atlantic Ocean off Point Pleasant Beach in Ocean County, N.J., early Sunday. "Suspending a search is always a difficult decision and it's something we don't take lightly," Capt. Scott Anderson, commander of Coast Guard Sector Delaware Bay, said in a statement. "We extend our deepest condolences to the family and loved ones during this extremely difficult time." The Point Pleasant Beach Police Department identified the missing swimmer as Zuzana Oravcova, 24. She had been swimming with a fellow Slovakian, Thomas Kadlec, 23, when they got into trouble in the water about 2:30 a.m.
Kadlec made it to shore, but Oravcova did not, and he immediately notified a boardwalk employee, who called police. At least six other people have drowned at the Shore since Memorial Day. WNBC Channel 4 in New York reported that Oravcova had been working at Jenkinson's Boardwalk, a large amusement attraction in Point Pleasant Beach. A massive search involved the Coast Guard, the New Jersey State Police Marine Unit, the Bay Head and Mantoloking fire companies and police, and dive teams from Point Pleasant Beach and four nearby communities. The Coast Guard launched a 47-foot motor lifeboat crew from its Manasquan Inlet station and an MH-65 Dolphin helicopter crew from its Atlantic City air station. The National Weather Service had issued a warning about dangerous rip currents along the Jersey Shore over the weekend. The advisory had spurred many towns to ban swimming at their beaches. But a Coast Guard spokesman said Sunday there was no indication that rip currents played a part in the Point Pleasant Beach swimmer's disappearance. "That would be pure speculation at this time," he said. The weather service issued a rip current warning for Monday.